Hi, I’m an artist trying to get in touch with you (Icefest) regarding this image. Please send me a PM. Thanks. Icefest has just linked it from the site. It most likely come from a Par Avion / PWS / TFS flight during the fires. I pretty sure it was doing the rounds on facebook because I've seen it elsewhere, just can't remember the source. As many may already know, the re-opening of the SW, and more specifically the Arthurs and surrounds is a long way off. Rather than talking "next month" I have been told that "next season" is much more realistic considering the extensive assessment and then rectification works involved. There is something like 1800 kilometers of road that needs to be assessed and deemed safe before they can open. Agreed it is frustrating but there is plenty of places open for walkers and my opinion is to respect those working to re open the affected areas by staying away. Scotts Peak Road has been reopened however all tracks that start along that road are still closed and I suspect will remain that way for some time. ILUVSWTAS wrote: There is something like 1800 kilometers of road that needs to be assessed and deemed safe before they can open. Agreed it is frustrating but there is plenty of places open for walkers and my opinion is to respect those working to re open the affected areas by staying away. For any visitors who are driving through or venturing into fire-affected areas that are now open, we’d like to remind you to take extra care. Post fire dangers include potential hazards from damaged trees and infrastructure, plus less obvious hazards including unstable burnt ground. PWS remind visitors not to enter any closed fire-affected areas. They remain closed for good reasons, primarily for public safety. The Hartz Mountain National Park, and the Huon and Edgar campgrounds on Scotts Peak Road are now open. 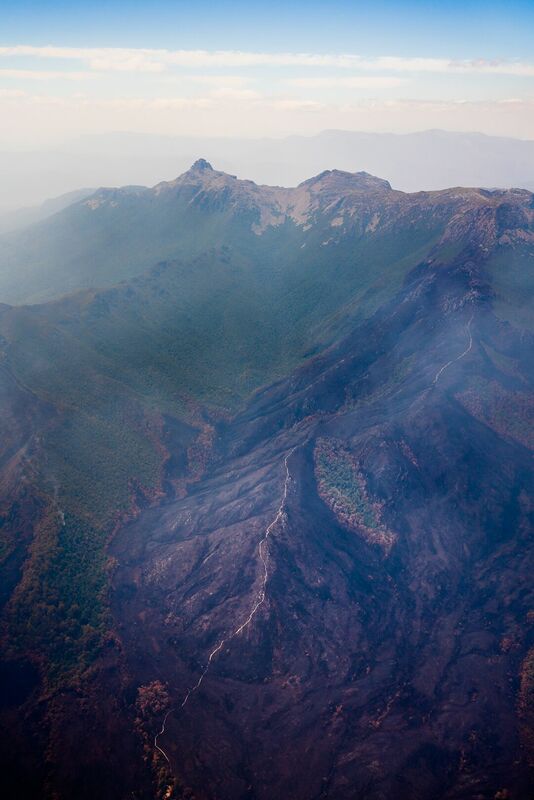 The Western Arthur Range is open between Moraine A and K, returning to Scotts Peak only (beyond Moraine K - Arthur Plains - has been heavily impacted). Lake Skinner, Mt Wedge, Port Davey Track, Frankland Range and Growling Swallet are now open. Please continue to take great care with campfires and abide by all local PWS signage.